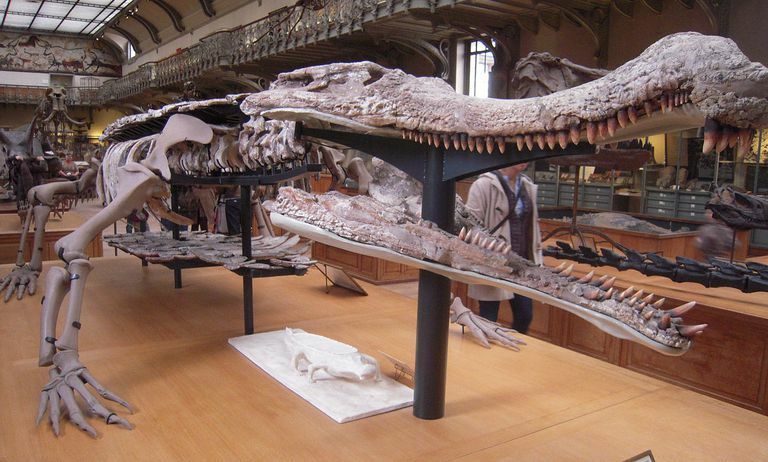 The Sarcosuchus is a genus of extinct giant crocodilian and a relative of the modern-day crocodiles. 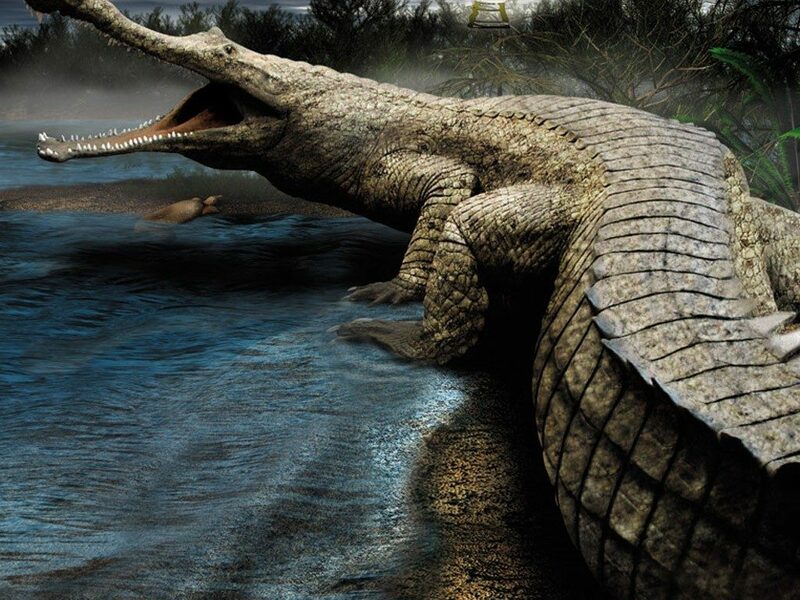 It is one of the largest ever crocodile-like reptiles that walked the earth. 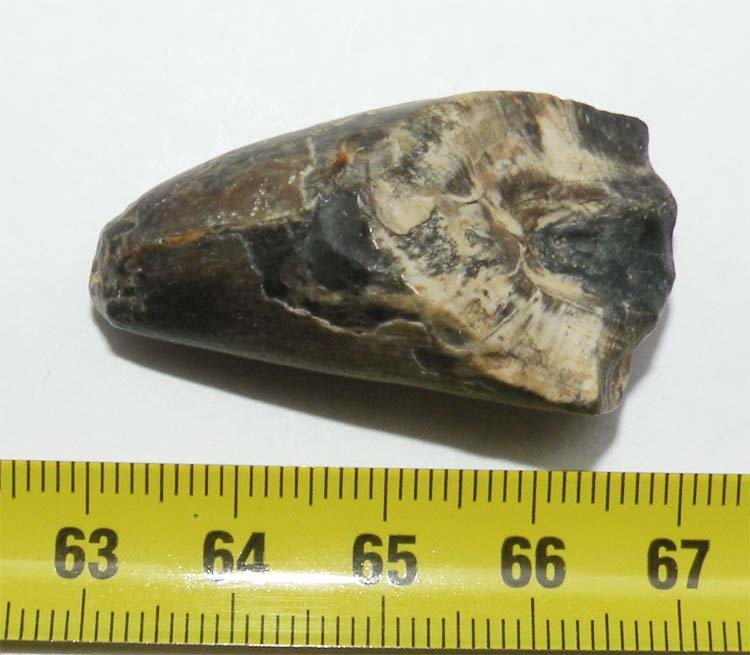 Found in two species, the animals lived during the early Cretaceous Period. 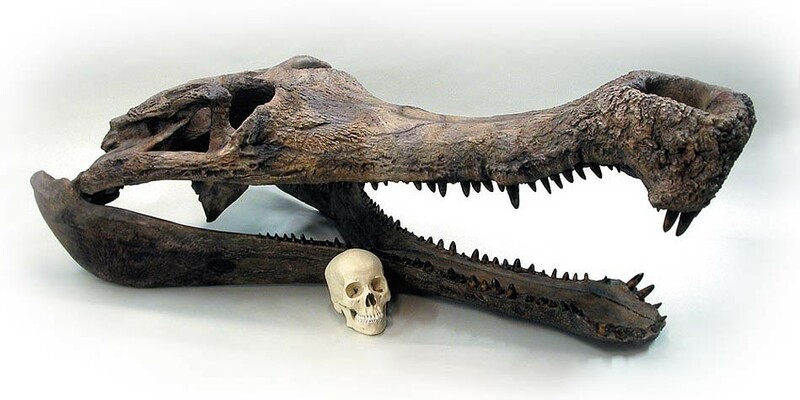 The semi-aquatic creature was so large that unlike modern-day crocodiles, the Sarcosuchus would keep growing gradually throughout their lifetime. In Latin, the meaning of its name translates to “flesh crocodile”. The initial set of fossil remains were unearthed during a few expeditions in the Sahara between 1946 and 1959, headed by a French paleontologist Albert-Félix de Lapparent. The first remains that were found consisted of skulls, vertebrae, teeth, and scute fragments. A few years later, in 1964, a skull of the creature was discovered in Niger that was nearly complete. This expedition was conducted by the French Alternative Energies and Atomic Energy Commission, or CEA. However, it was only in 1997 and 2000 that the most number of skeletal parts of the ancient reptile was found, and the anatomy of the gigantic creature became known to modern-day science. This expedition was headed by the Paul Sereno, an American paleontologist, who dug up six fresh specimens that included about half the creature’s intact skeleton, as well as most of the spine. A full-grown adult Sarcosuchus reached up to 11–12 m (36–39 ft) in length, with an average weight of 8 tonnes (8.8 short tons). By evolution, the eyes of the creature was somewhat telescoped set next to a long snout that constituted 75% of the head’s total length. The upper jaw, which was conspicuously longer than the lower one, had 35 teeth in each of the two sides, whereas the lower jaw had 31 in each side. When the mouth was shut, the two jaws would leave a gap between them, which created an overbite. In the young and the baby Sarcosuchus, the snout’s shape was like the modern-day gharials; however, as an adaptation to catch large fish, it would gradually broaden, as the creature would grow adult. An expansion was clearly present at the end or tip of the snout, known as the ‘bulla’, and is comparable to what is known as the ‘ghara’ in the gharials., There were also bony deposits that were present in a layer under its skin, forming scales, plates, and several other dermal structures. This deposit is known as the ‘osteoderms’ or ‘dermal scutes’. Such similar structures were also present in the prehistoric goniopholodids including the Goniopholis and the Sunosuchus. Owing to its enormous size, the Sarcosuchus had the privilege to hunt terrestrial dinosaurs. They were ambush predators that would wait by the side or surface of the water until an unsuspecting prey comes too near. When too close, the reptile would erupt out of the water to attack and capture the startled animal. For obvious reasons, much like the crocodilians, the Sarcosuchus would not chase the prey, in case it missed, since it was a chance predator. However, if the targeted animal was slow-moving and unable to escape fast enough from its predator, the Sarcosuchus might take a chance to chase it for some time before giving up. 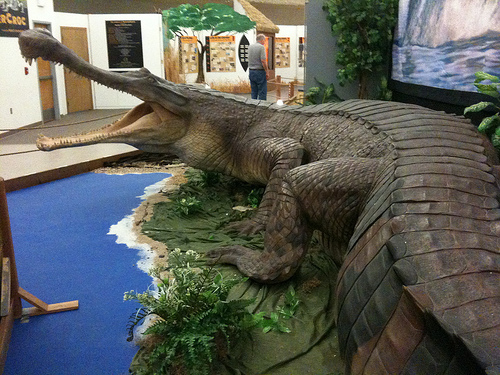 The crocodilian had the habit of basking in the sun on the bank of water bodies. But if its enemies larger than its size (like the Argentinosaurus) would approach, the Sarcosuchus would hurriedly take refuge in the water for safety. 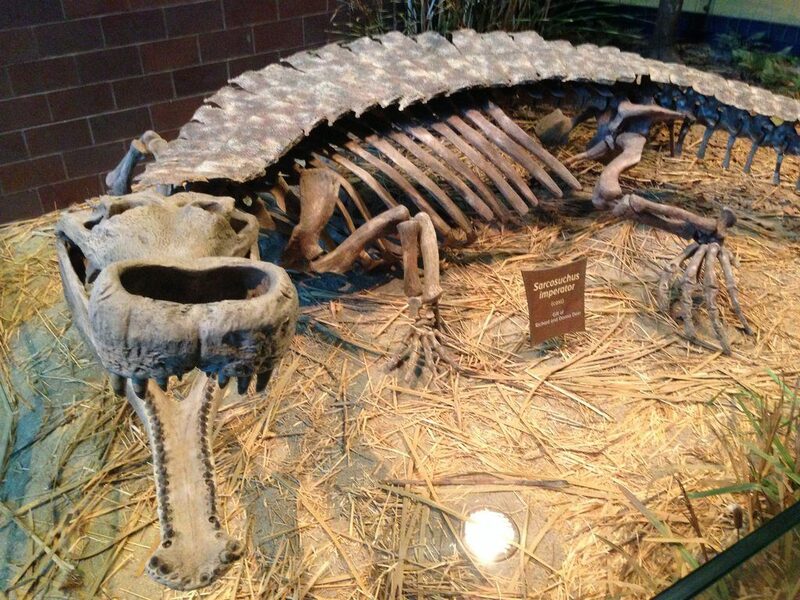 The exact diet of the Sarcosuchus is unknown. 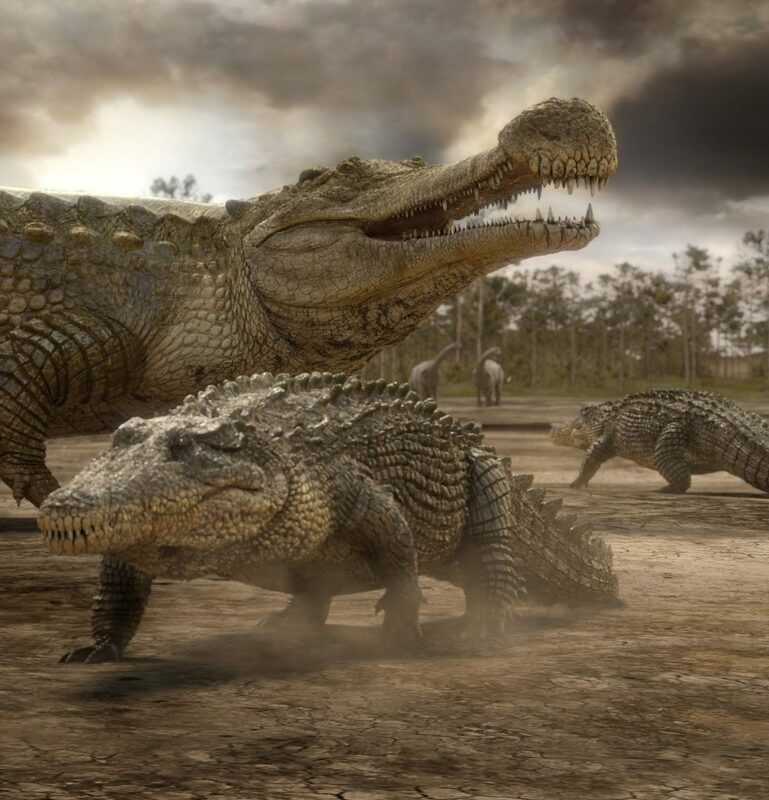 However, many researchers speculated that it was probably capable of eating any aquatic species of large fish, other crocodilians, as also land animals like relatively smaller species of dinosaurs. The Sarcosuchus probably shared the water with other giant contemporary crocodyliforms like the Suchomimus and probably even competed with it for food. It was roughly double the size of the largest living crocodile Crocodylus porosus (the saltwater crocodile). Published on April 3rd 2019 by admin under Reptiles. Article was last reviewed on 1st April 2019.